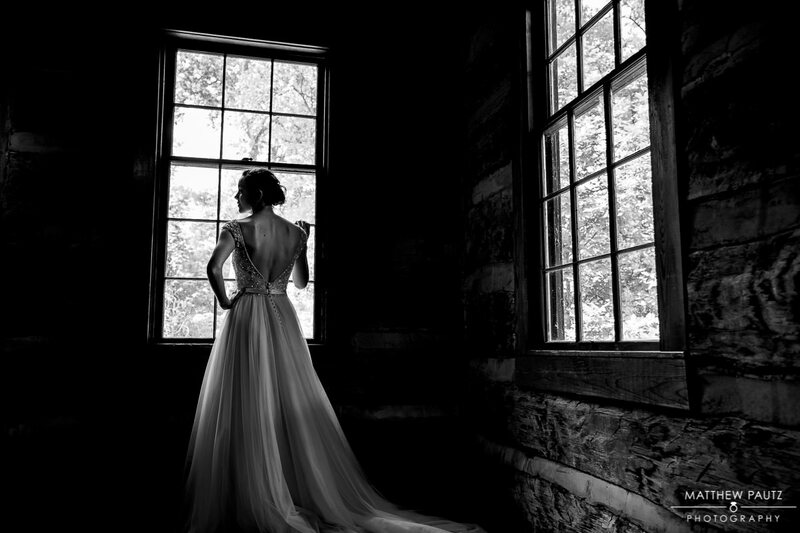 It’s very strange for me to watch Greenville slowly becoming a destination wedding city. 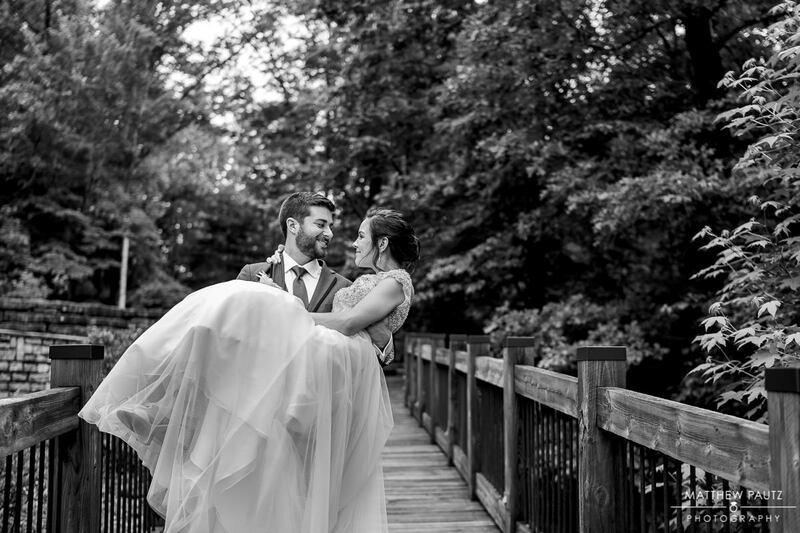 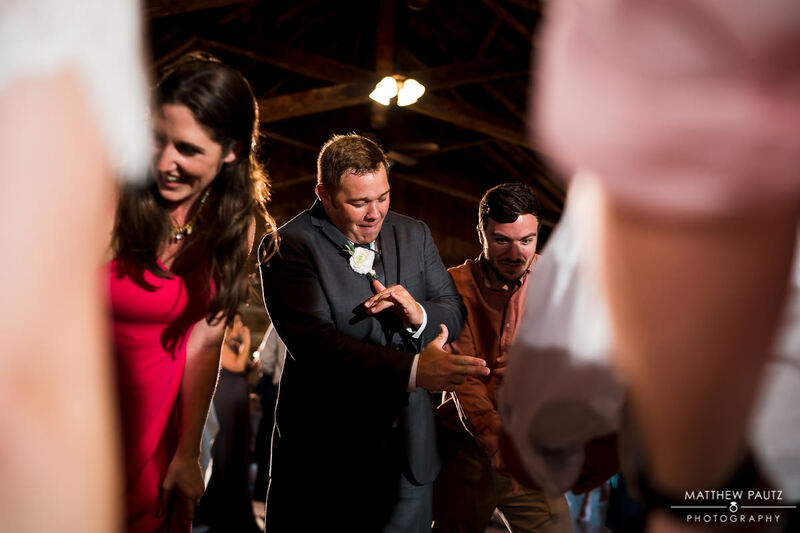 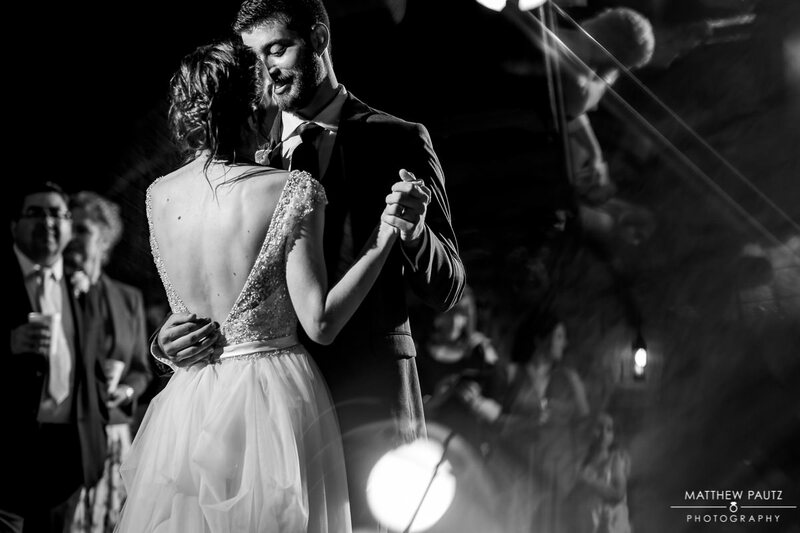 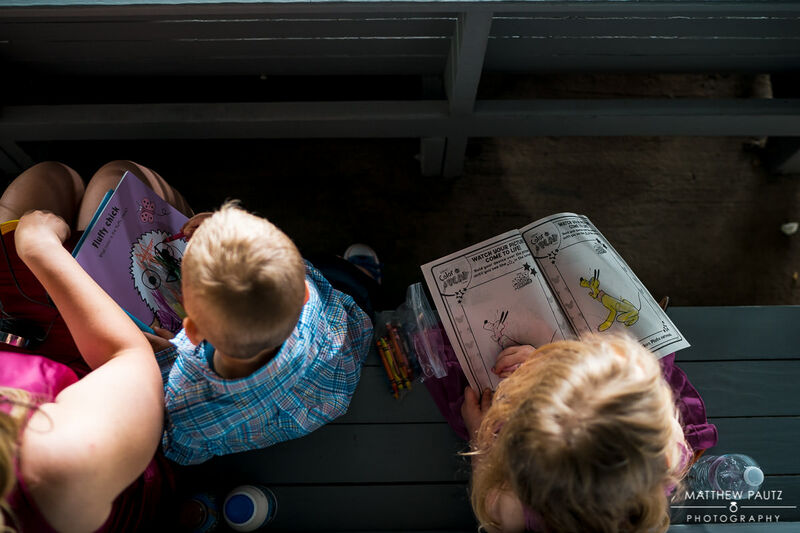 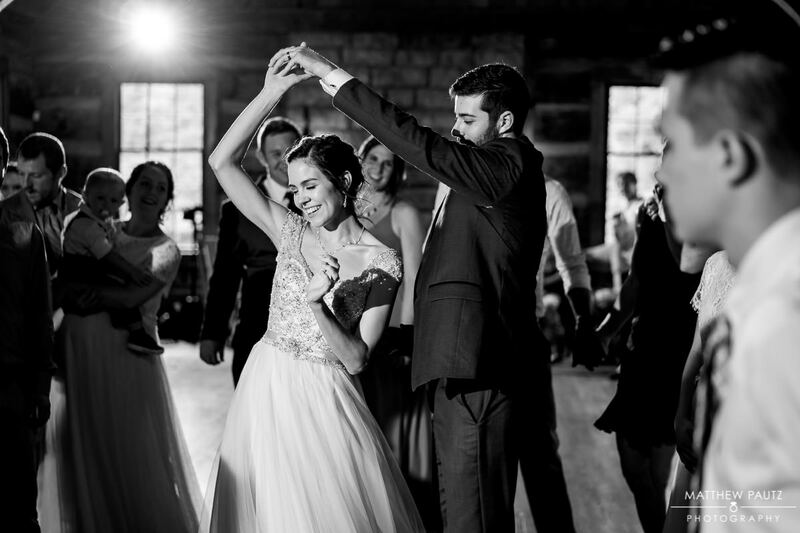 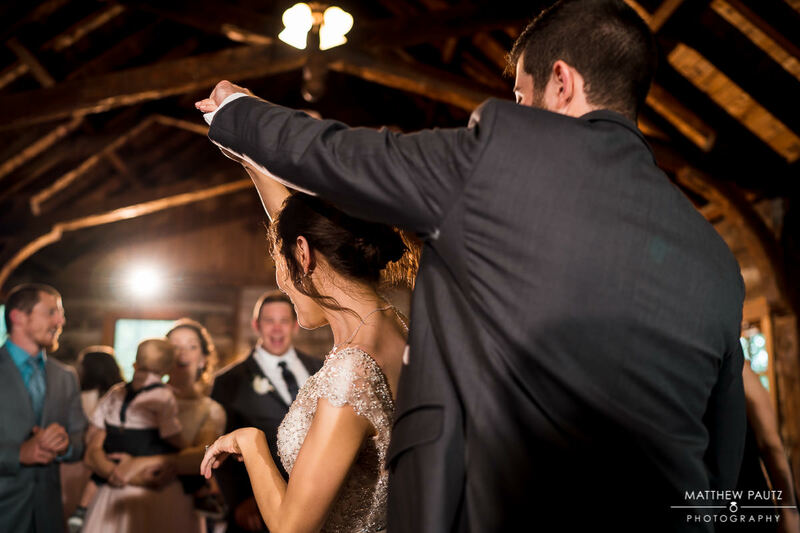 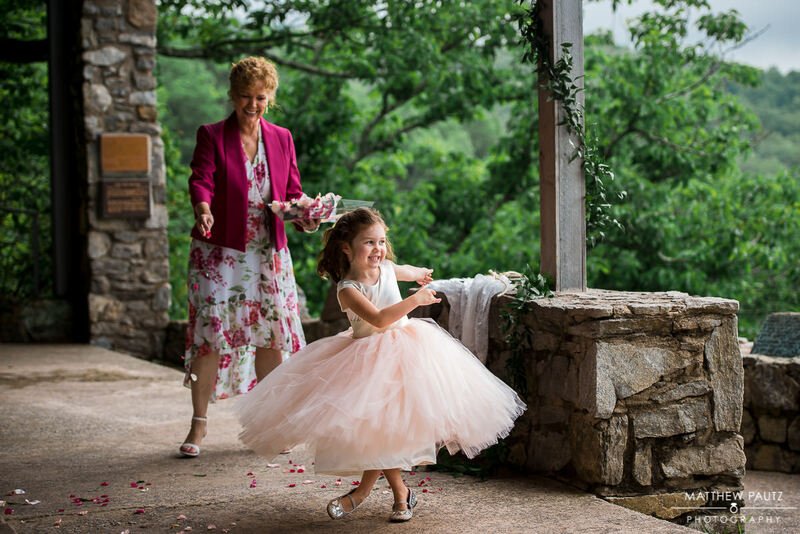 It’s not strange why…after all – Greenville has a rapidly growing city at the base of the Blue Ridge mountains with gorgeous wedding venues, beautiful scenery, and one of the best downtowns in the nation. 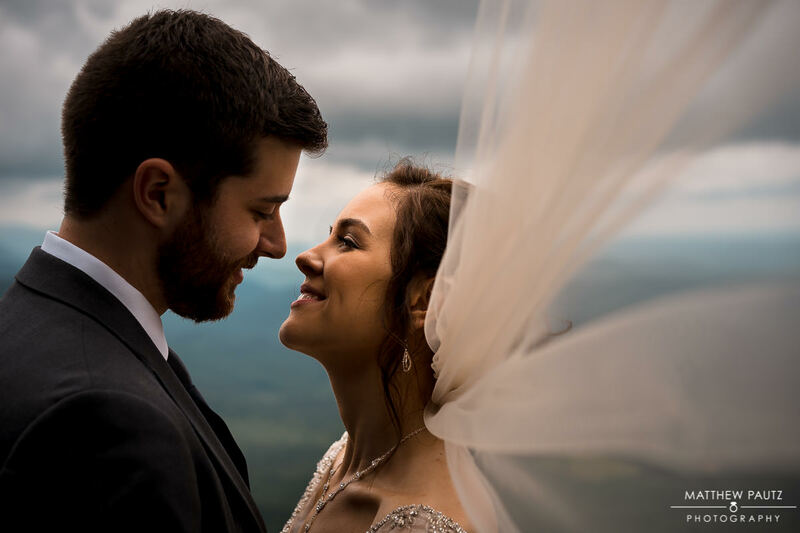 But the scenery is what attracted Lily and Evan to this location for their destination wedding, and it was good enough to bring them all the way from their home in Kansas. 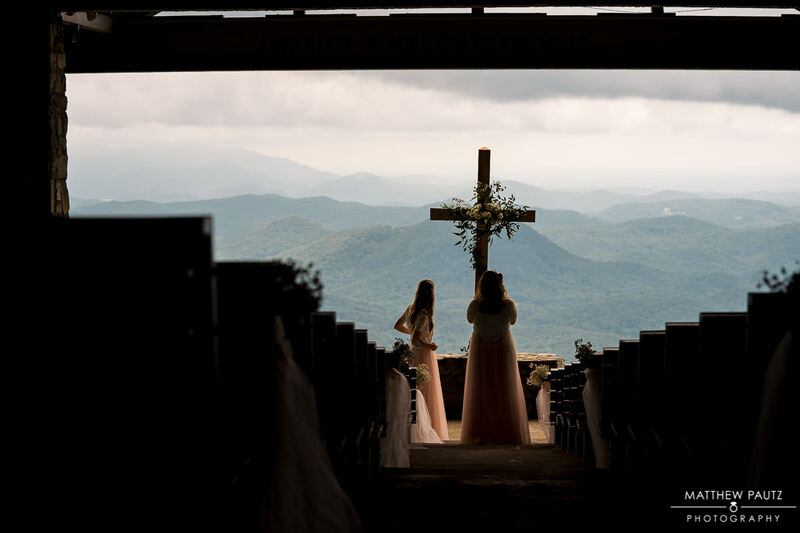 So when I say it’s a strange feeling to be photographing destination weddings like this here, maybe it’s just because I take this place for granted sometimes. 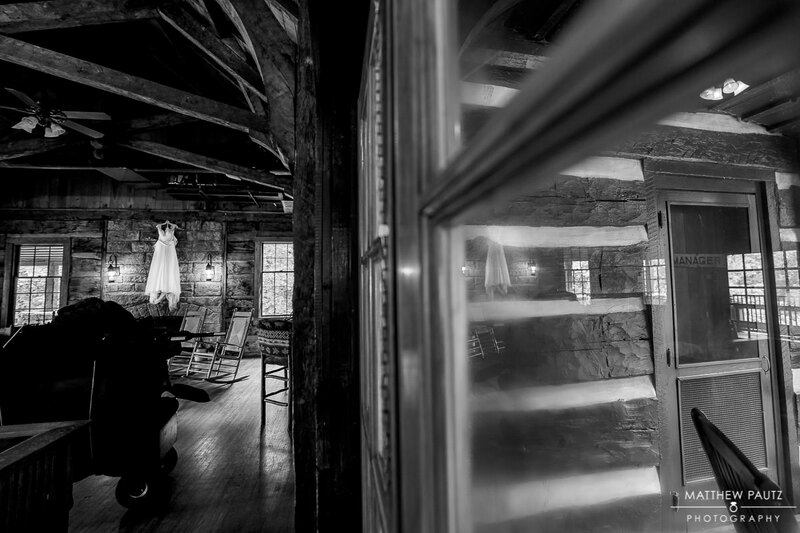 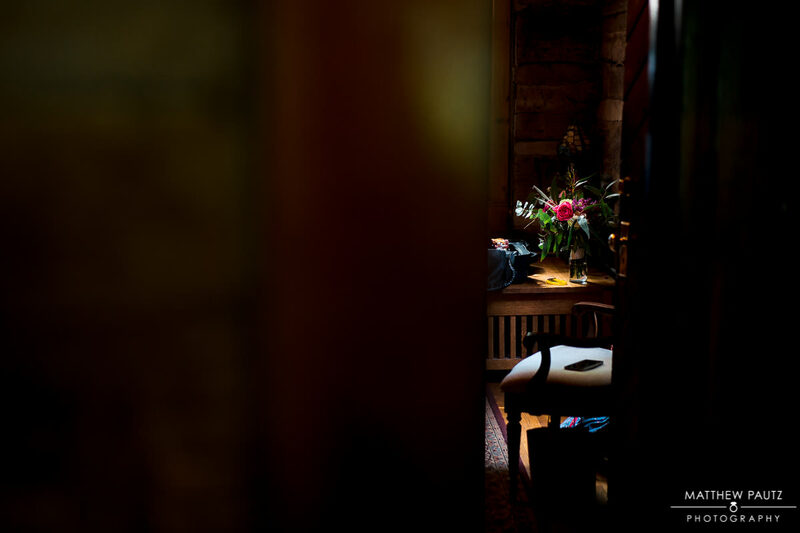 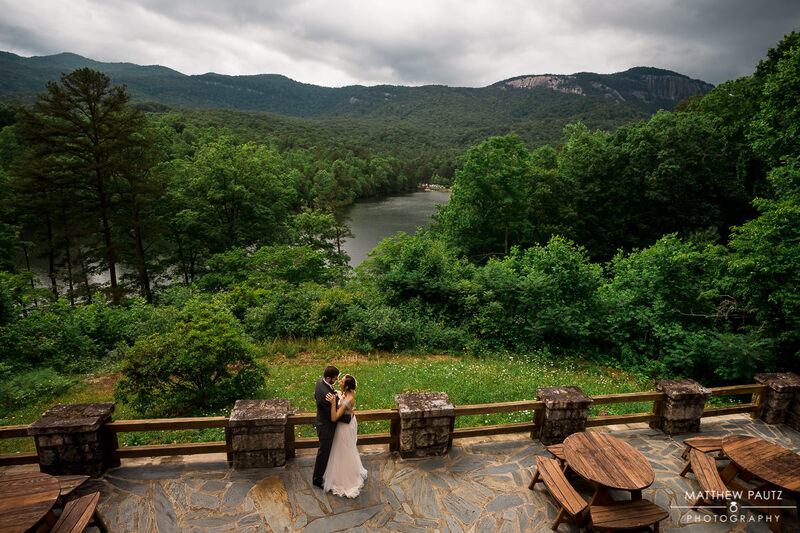 Beautiful mountain wedding venues like the Table Rock Lodge and Fred Symmes / Pretty Place chapel have been here for far longer than I have been photographing weddings – and when you grow up living around places like these, you start to assume that they are normal, humdrum places. 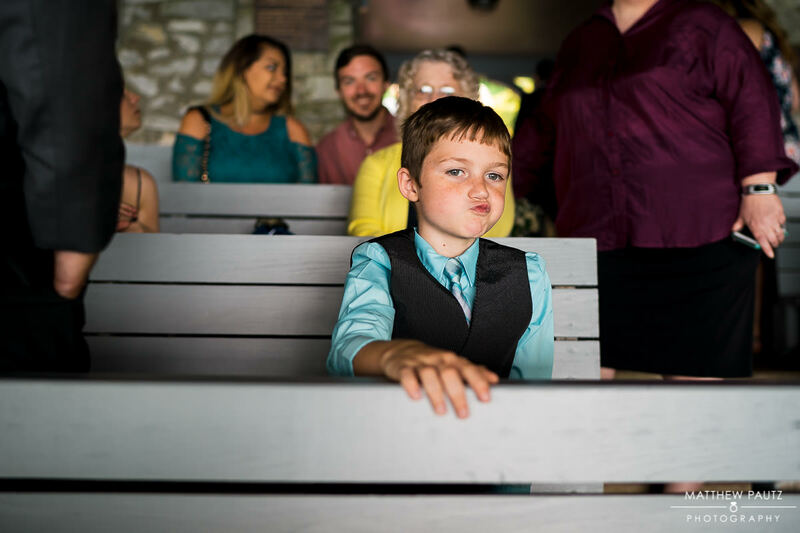 This of course couldn’t be further from the truth. 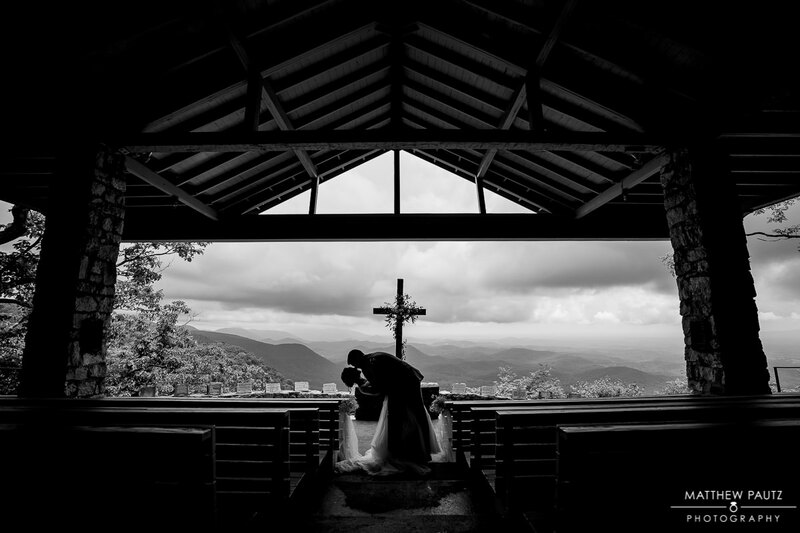 Fred Symmes chapel is a semi-famous wedding venue, and one of the most unique places to get married in the Southeast. 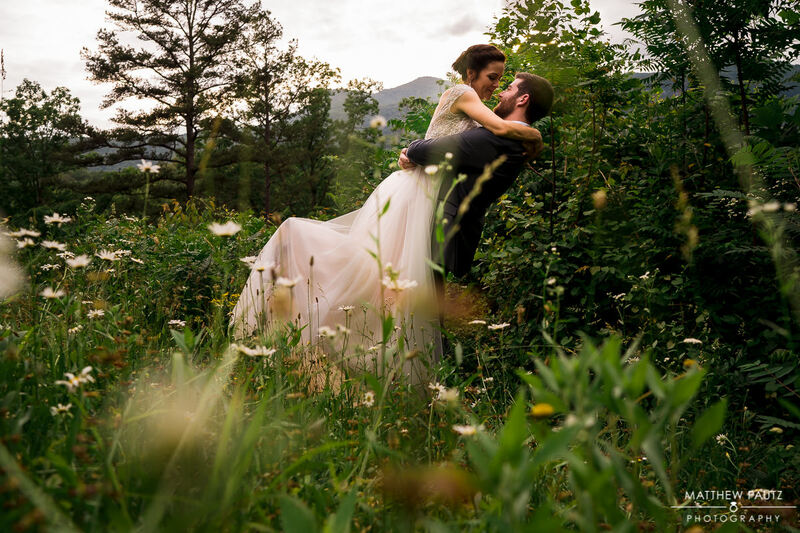 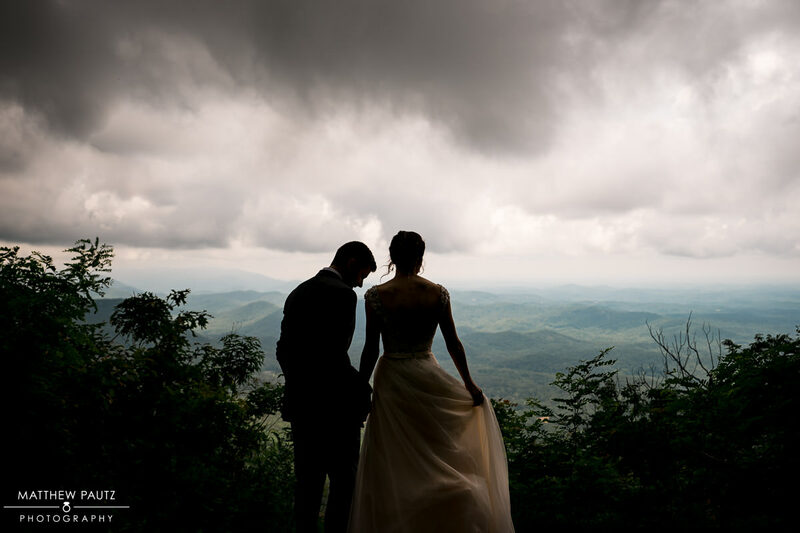 The Blue Ridge mountains can’t compete with the Rockies of course, but they have their own distinct charm to them that is irreplaceable, and makes a perfect setting for a wedding. 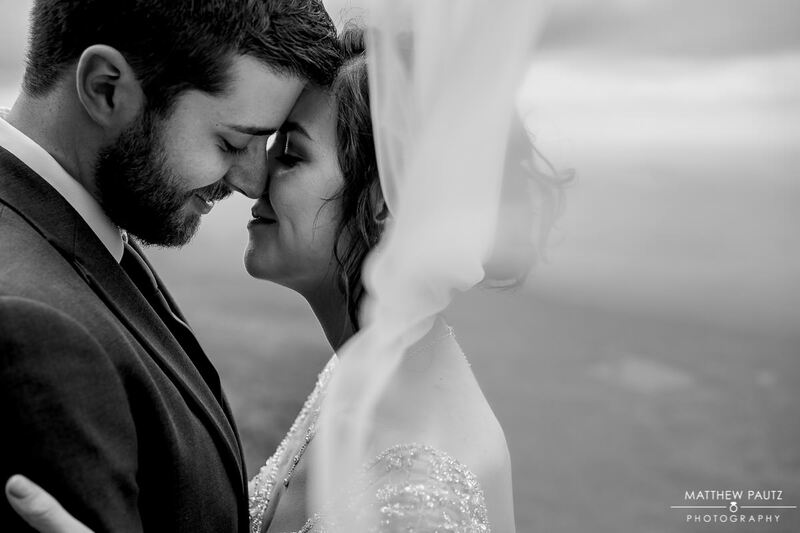 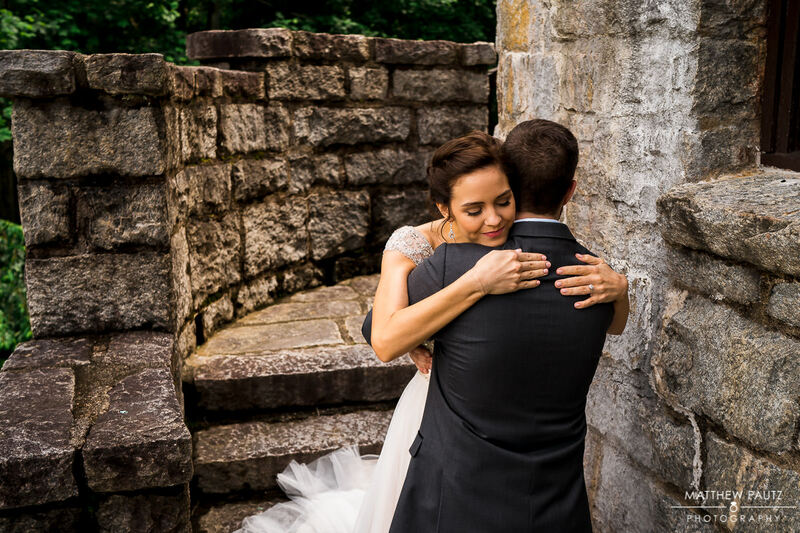 Lily and Evan knew this already, and it was one of the reasons they selected these venues for their wedding. 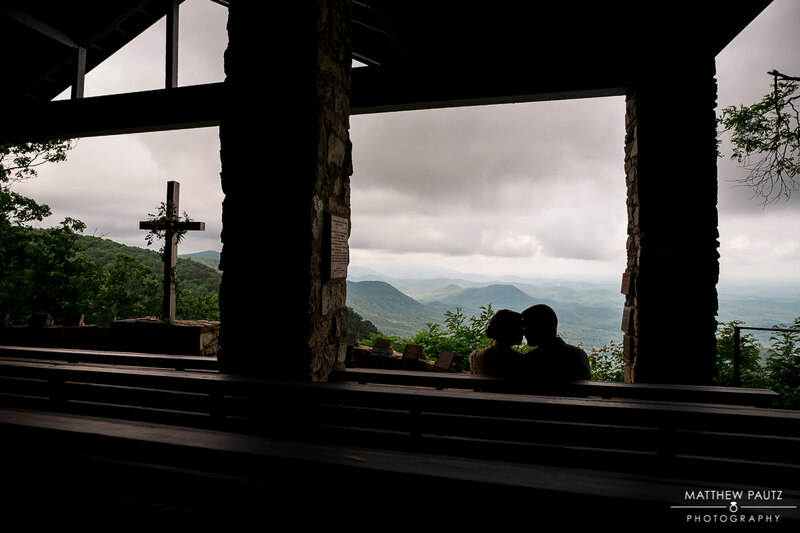 Lily and Evan chose the perfect reception venue near Fred W Symmes Chapel for their wedding. 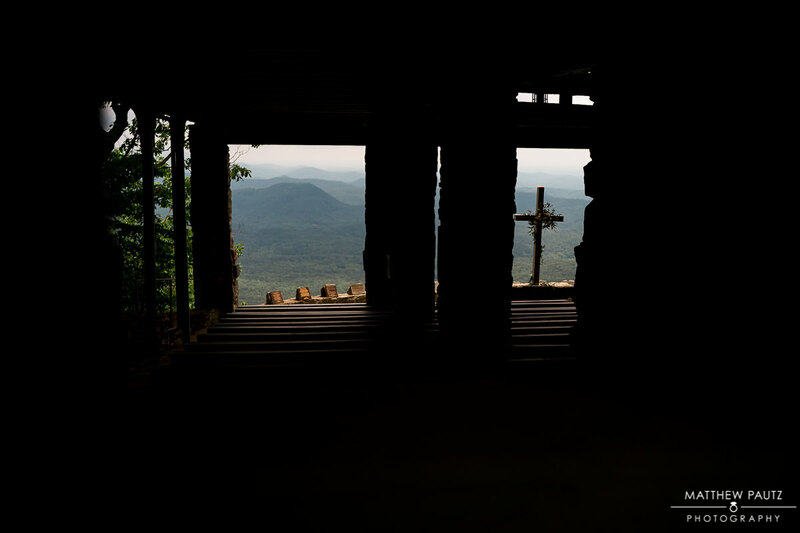 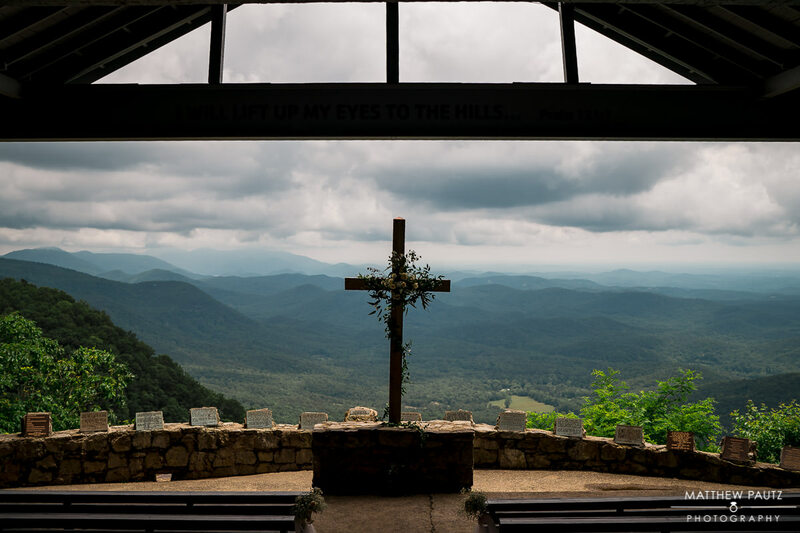 Anyone who has their wedding ceremony at Fred W Symmes Chapel knows how difficult it is to find a reception location. 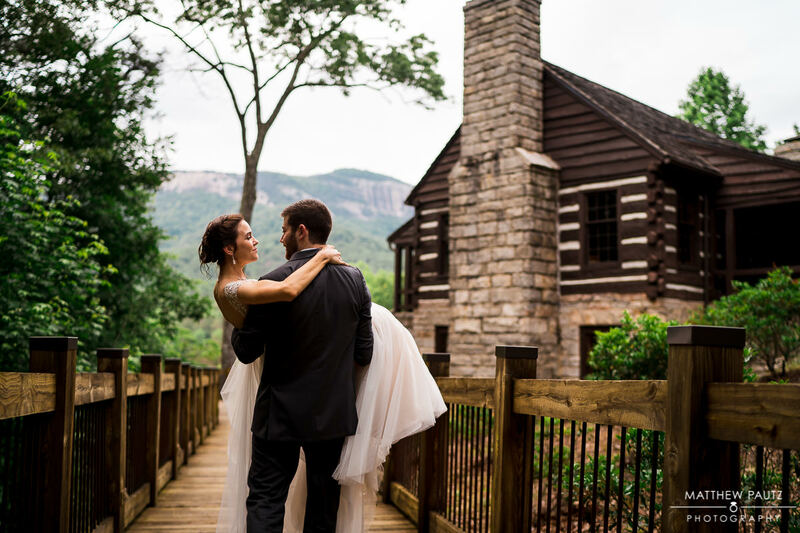 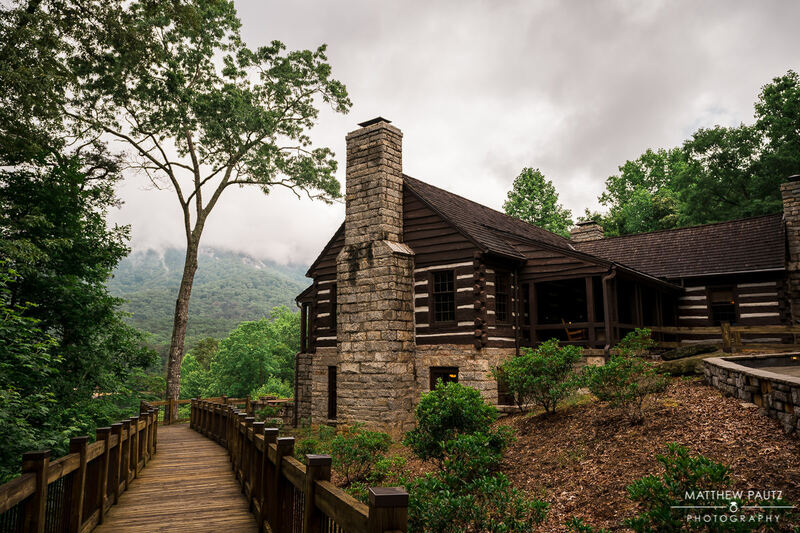 The Lodge at Table Rock State Park is hands down the best choice, at least for a smaller wedding. 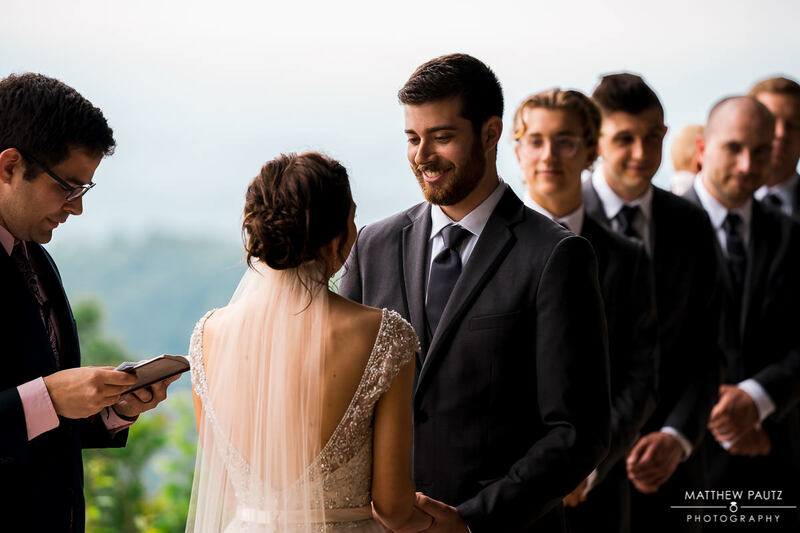 Since Lily and Evan were having a smaller destination wedding with friends and family coming from all over, it was the obvious choice. 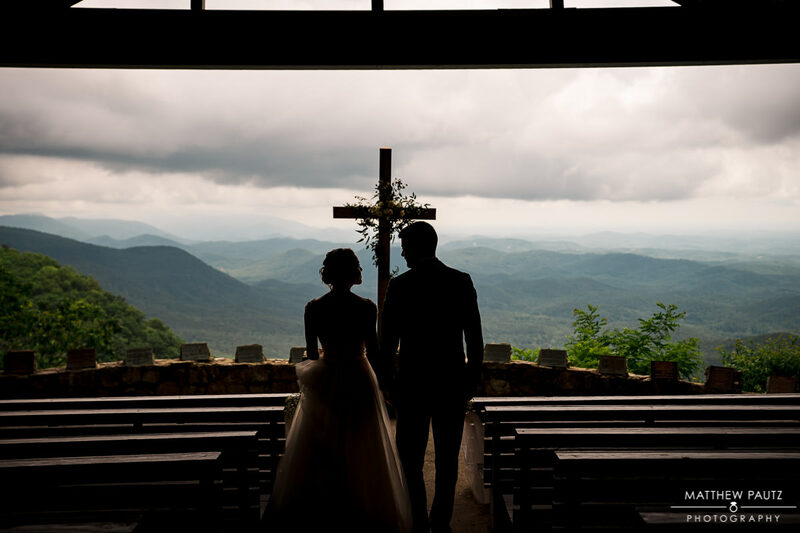 It’s still about a 45 minute drive from Symmes Chapel, but even with that drive it’s the closest reception venue around. 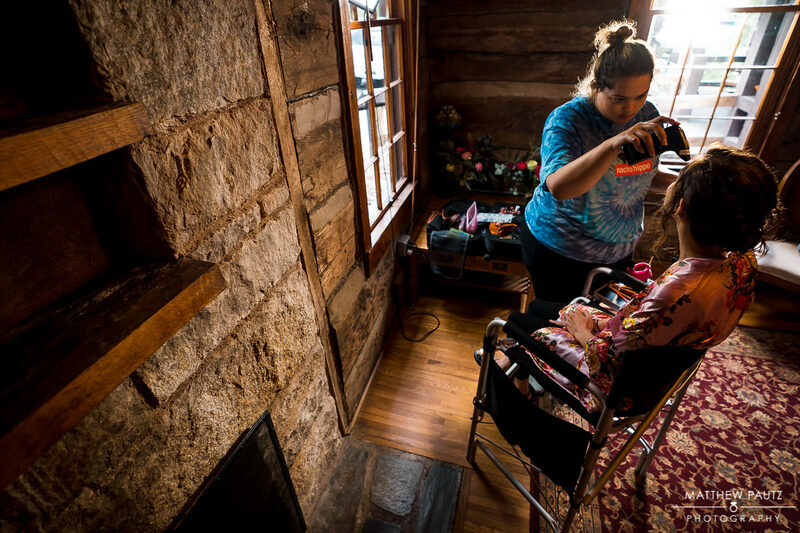 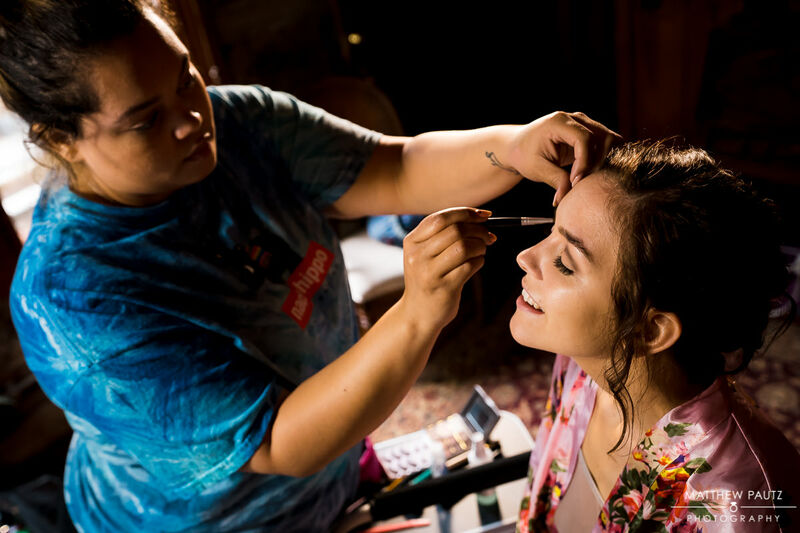 But this old CCC mountain lodge gave a very distinctly rustic setting for their getting ready photos and the eventual reception. 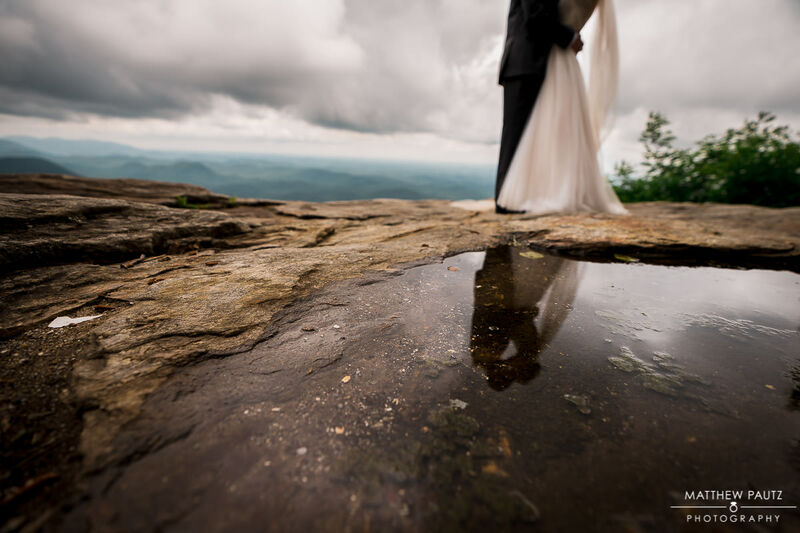 I have been hiking and camping up here in Table Rock since I was a child, so getting to photograph a wedding in the same place was an amazing experience. 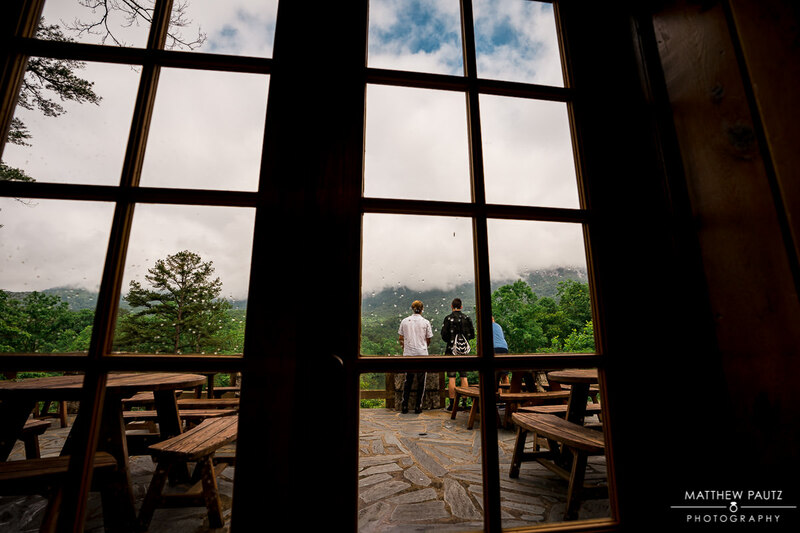 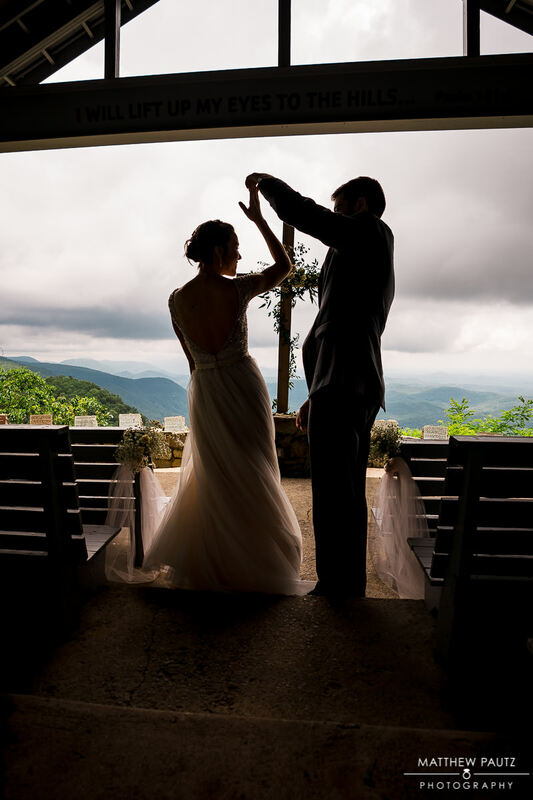 You can’t beat these views for a Blue Ridge mountain lodge wedding. 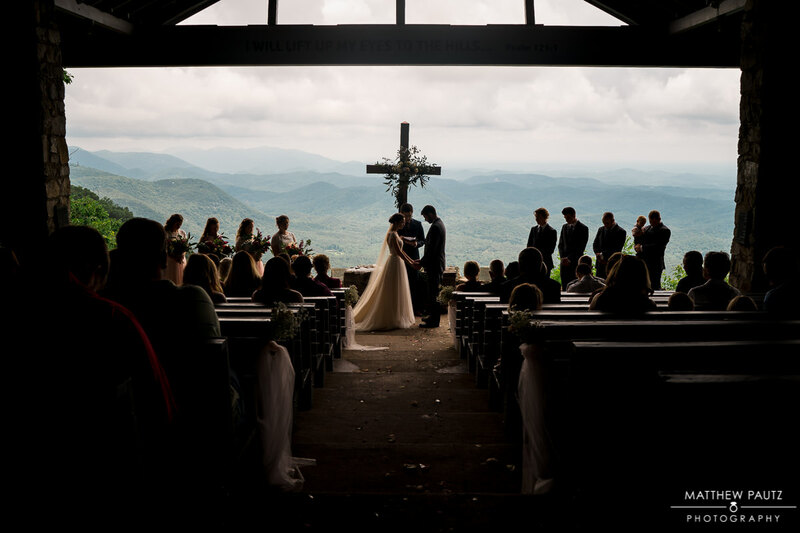 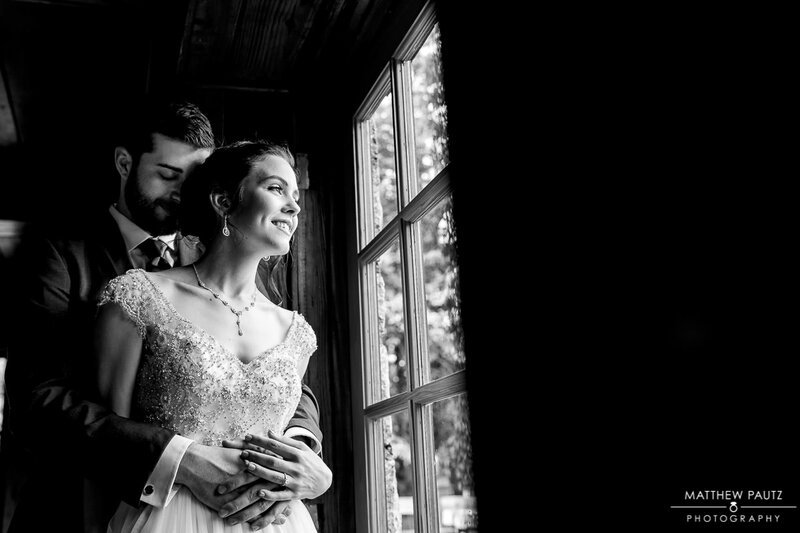 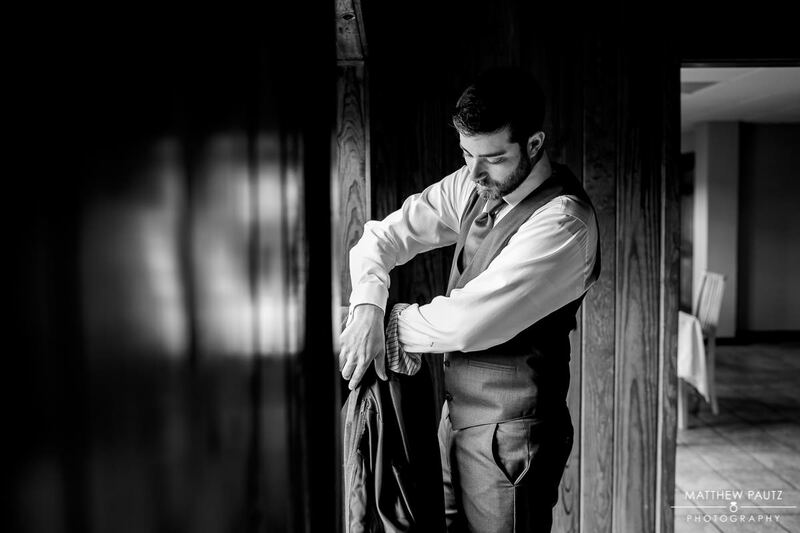 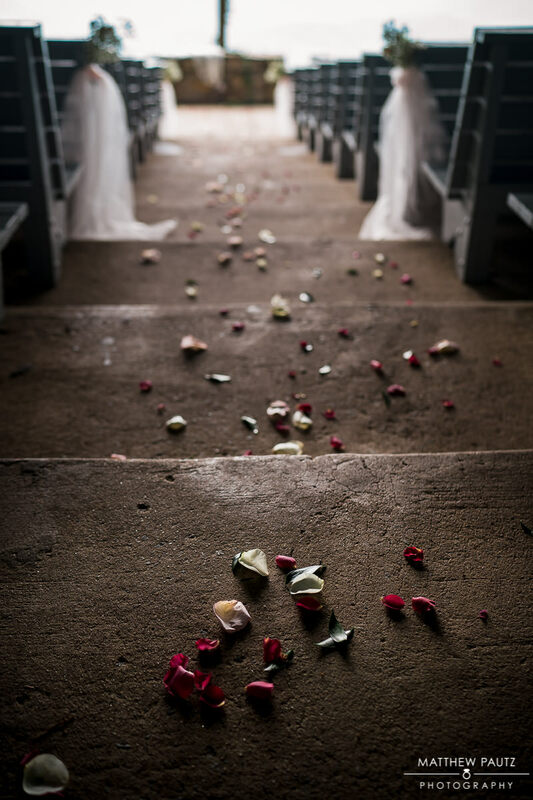 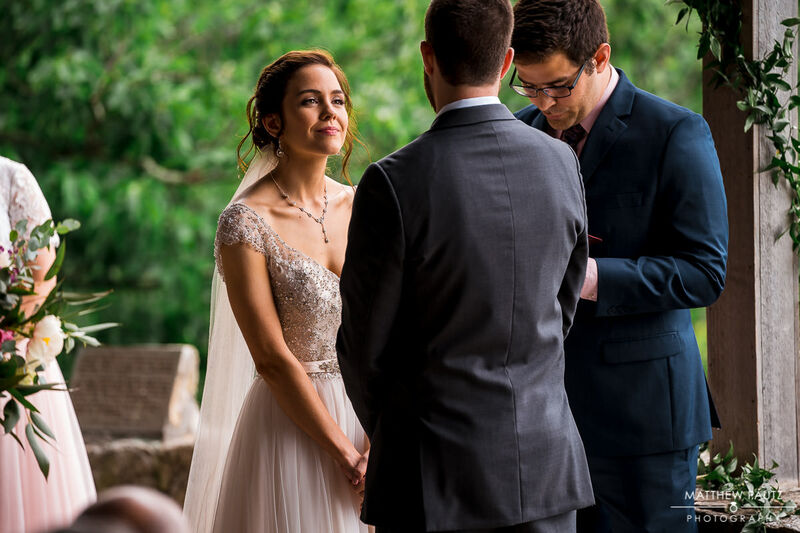 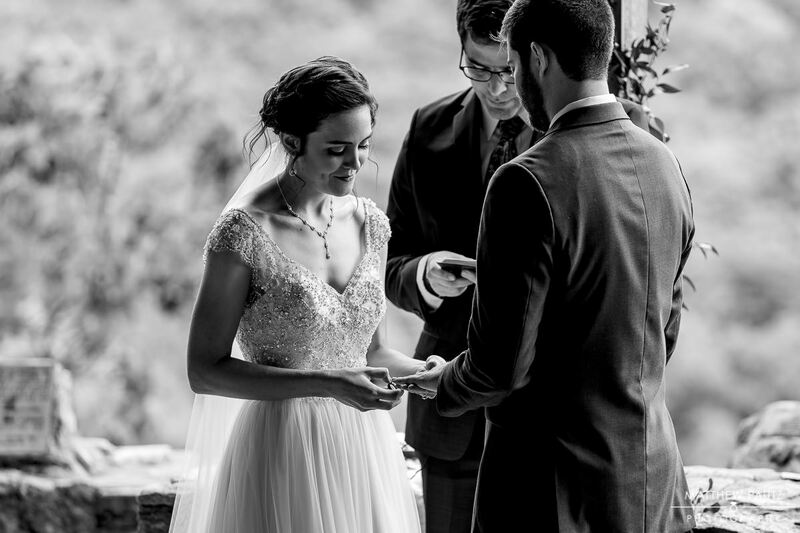 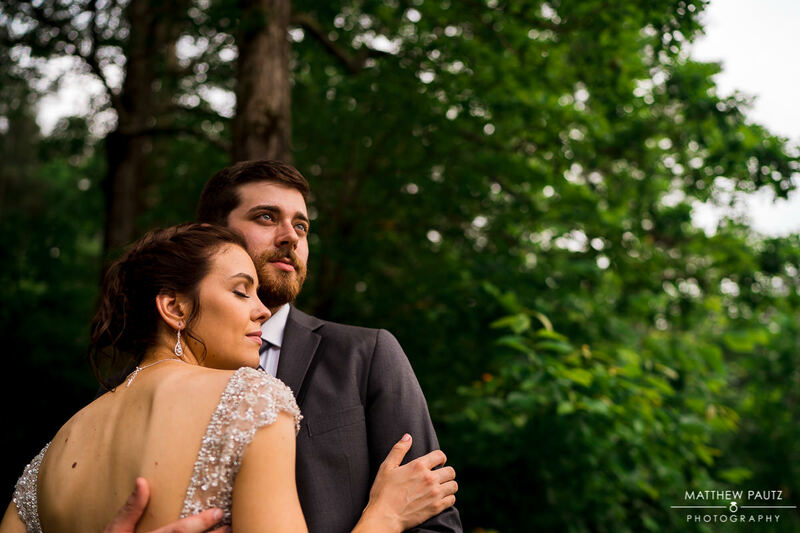 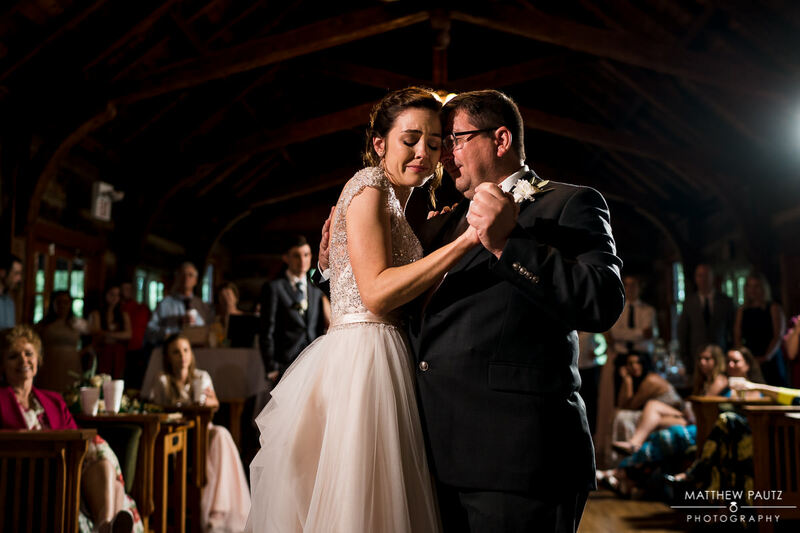 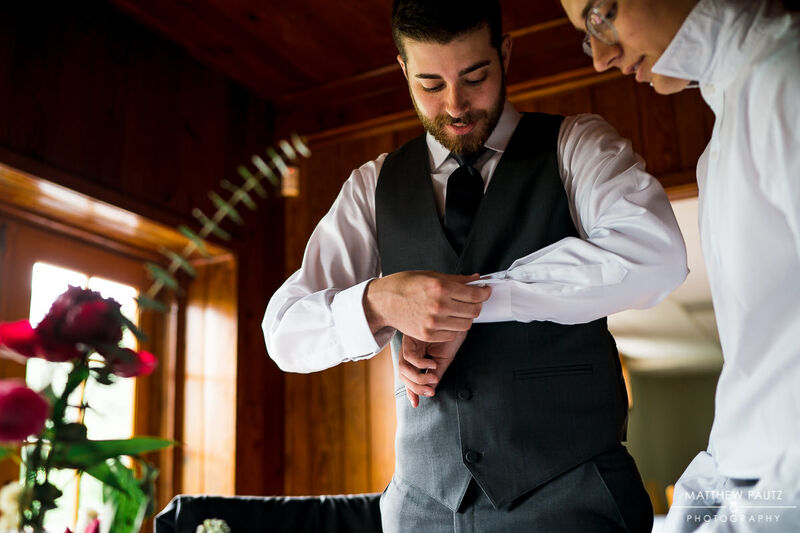 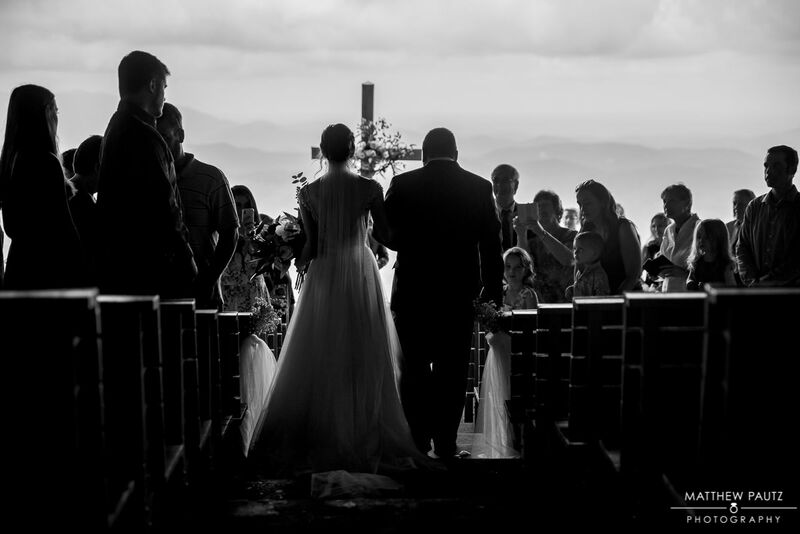 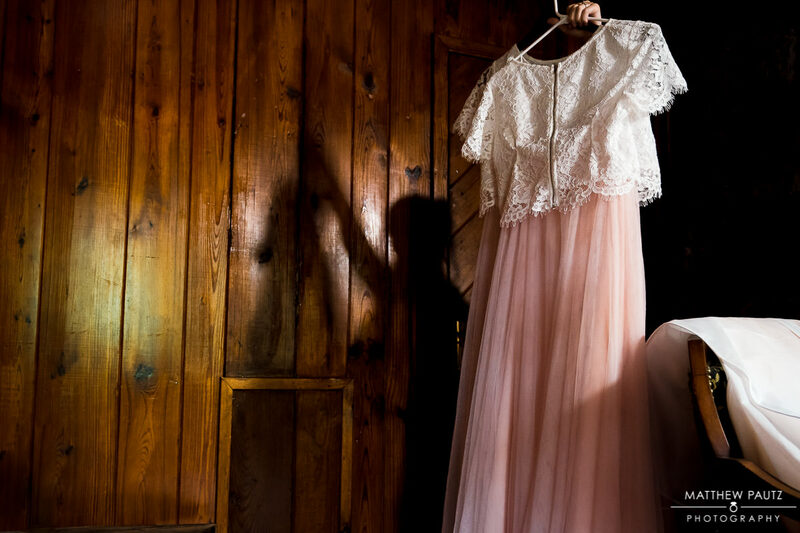 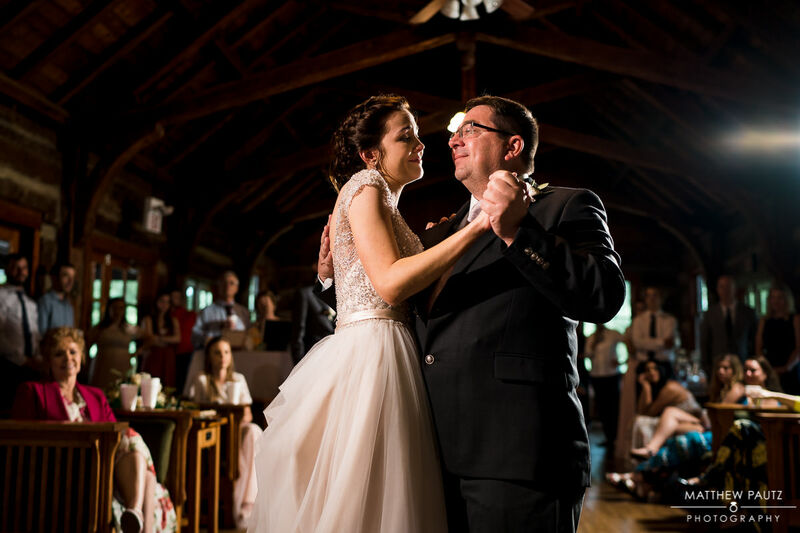 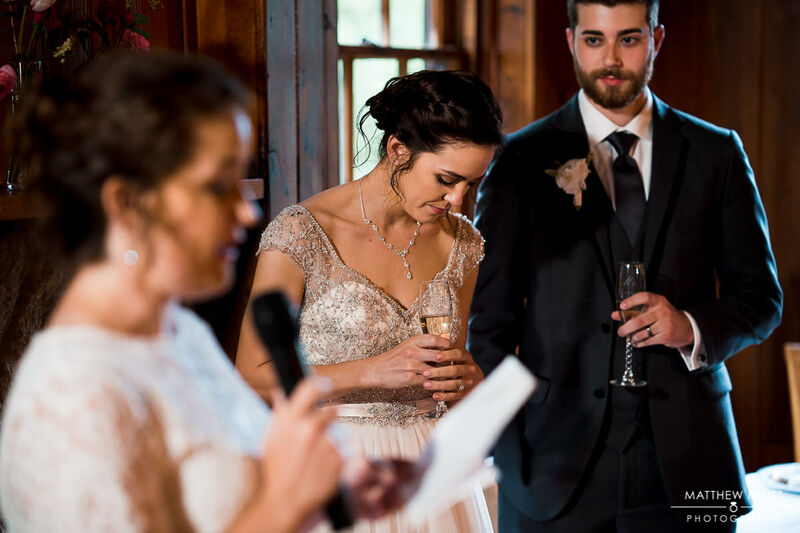 After everyone was finished getting ready, and after the bride and groom’s first look, it was time to move over to Fred Symmes Chapel for their wedding ceremony. 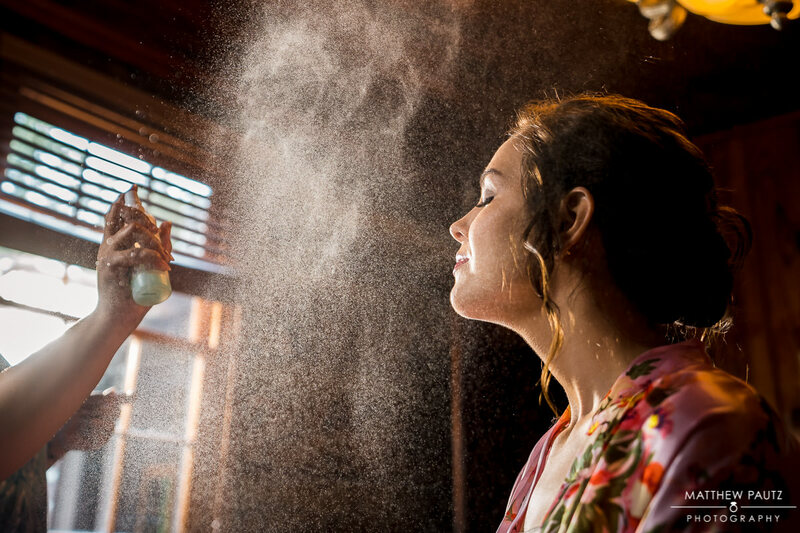 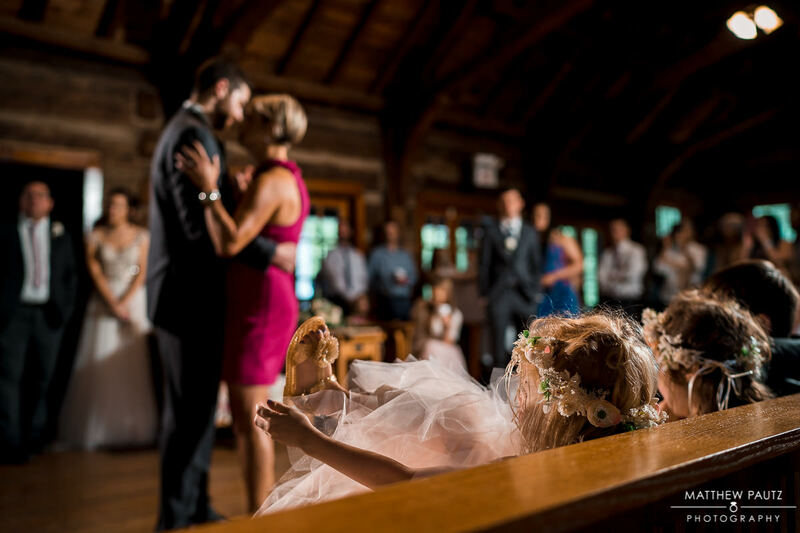 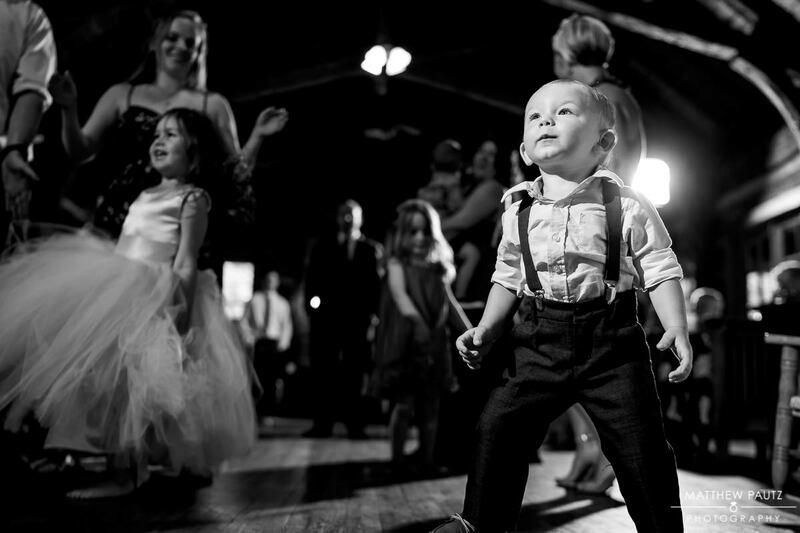 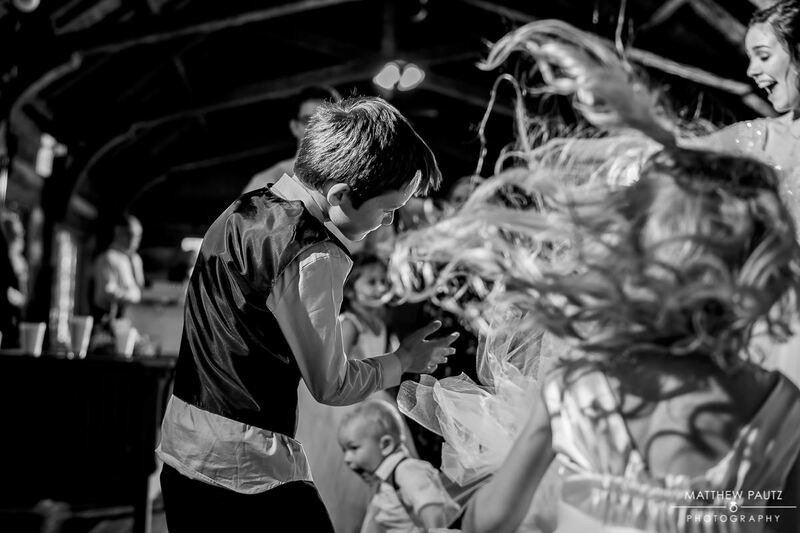 Photographing weddings here can be tricky. 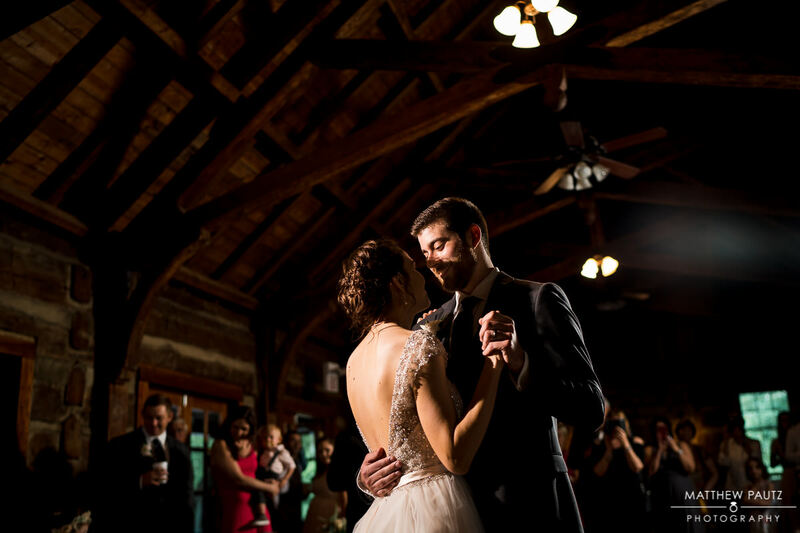 With such a unique indoor/outdoor setting, lighting can be very difficult. 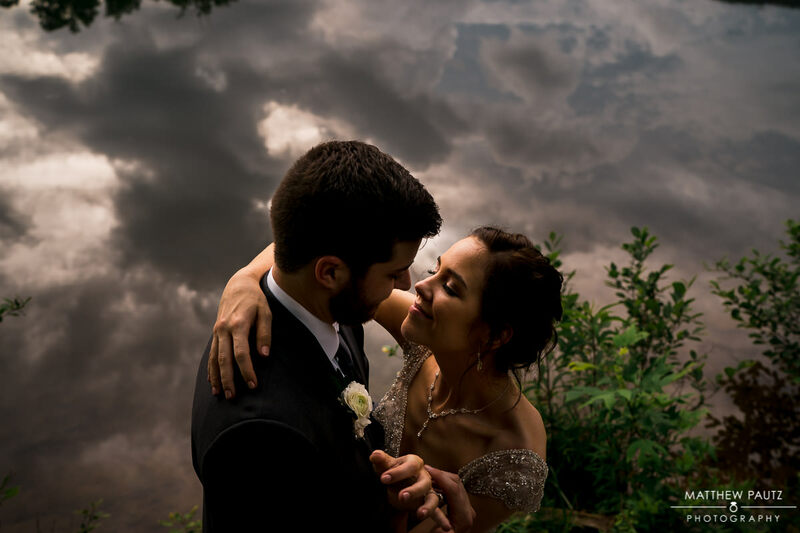 Ironically, clouds and rainy weather make it easier thank dealing with the bright sun. 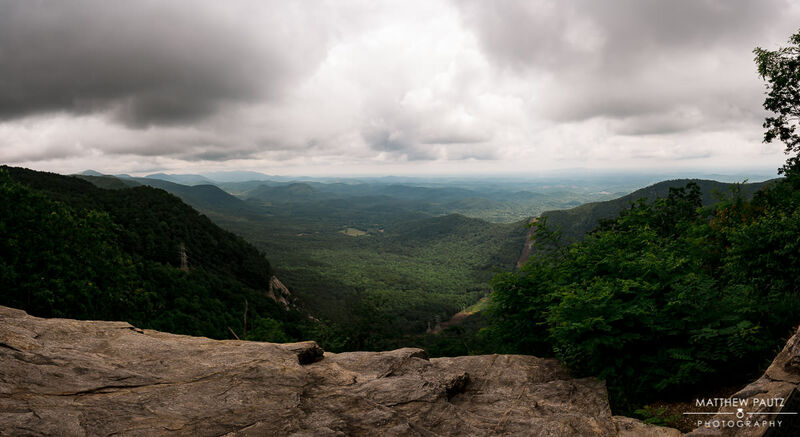 I know Lily and Evan had mentioned being worried about the weather ruining the day, but the reality is that the weather is what made it unique and different. 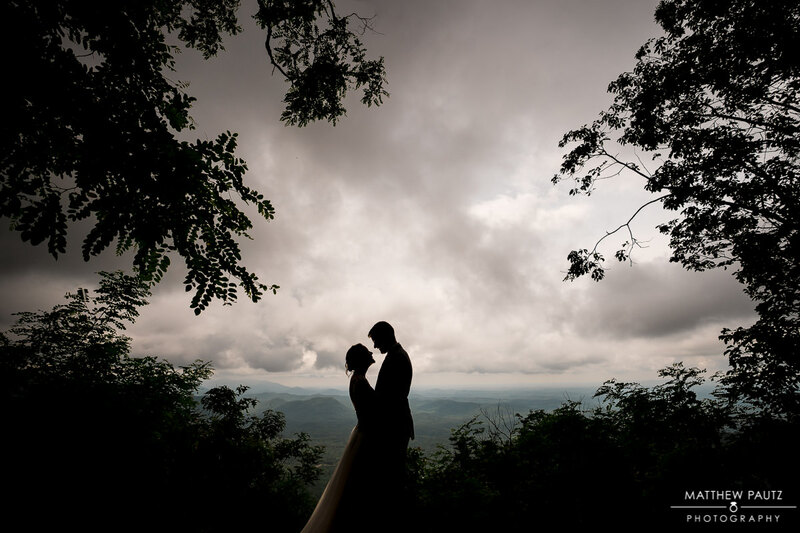 It’s well worth a few raindrops to get a backdrop like this for your wedding ceremony. 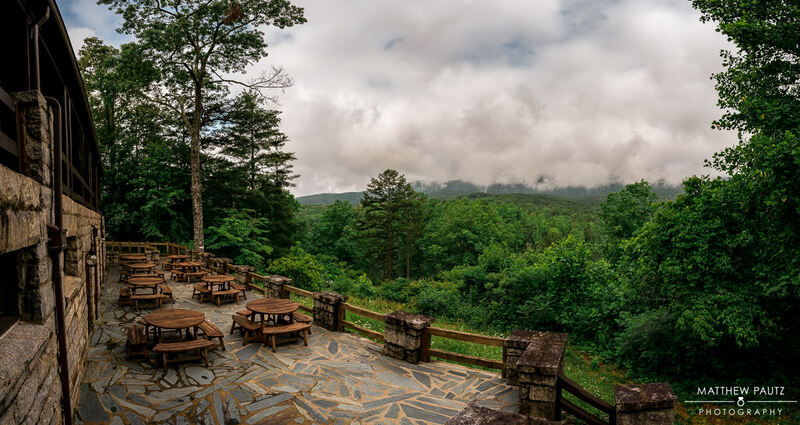 After the ceremony, we headed back to Table Rock State Park for the reception. 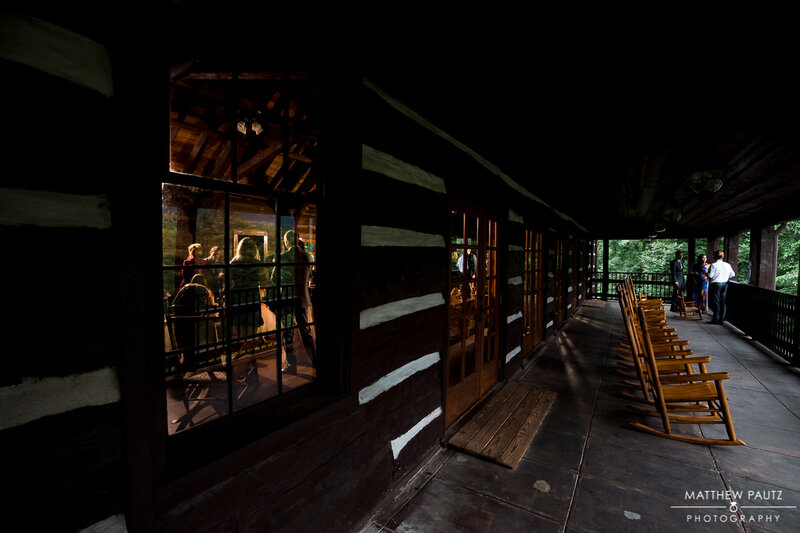 The Lodge is small, but being able to use both upstairs and downstairs is very convenient. 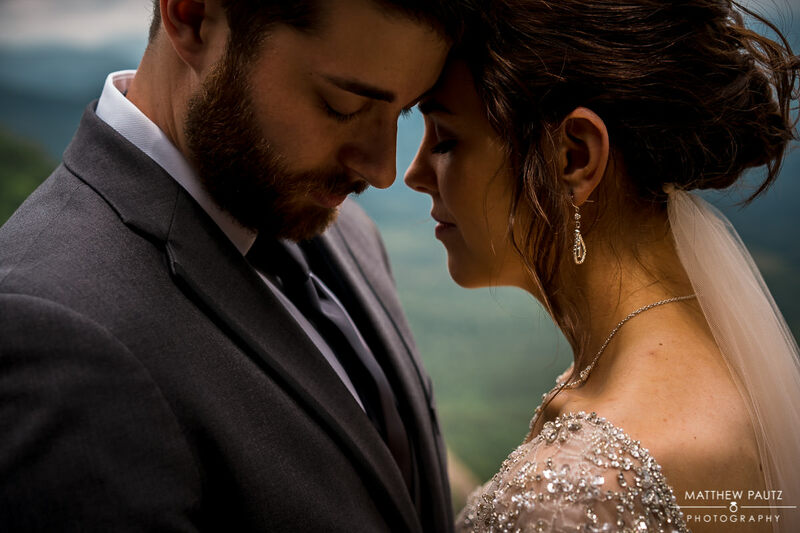 The mountain lodge styling really compliments wedding photography and made for a very unique setting for their reception. 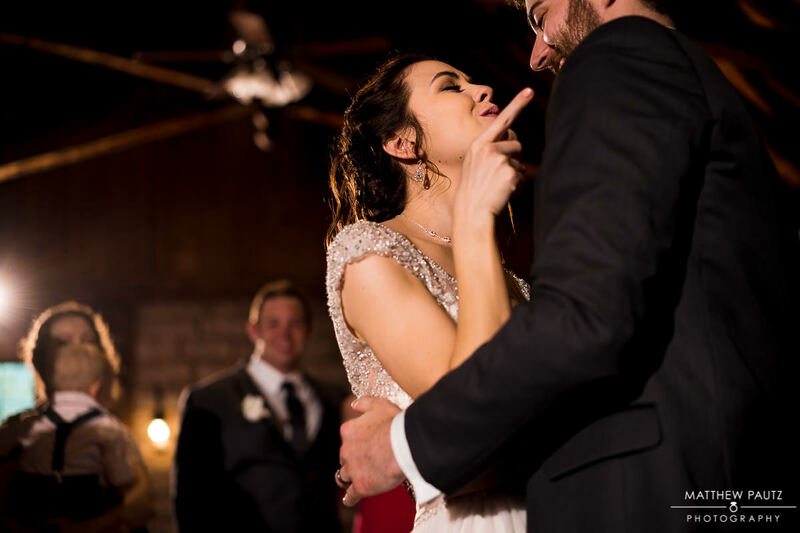 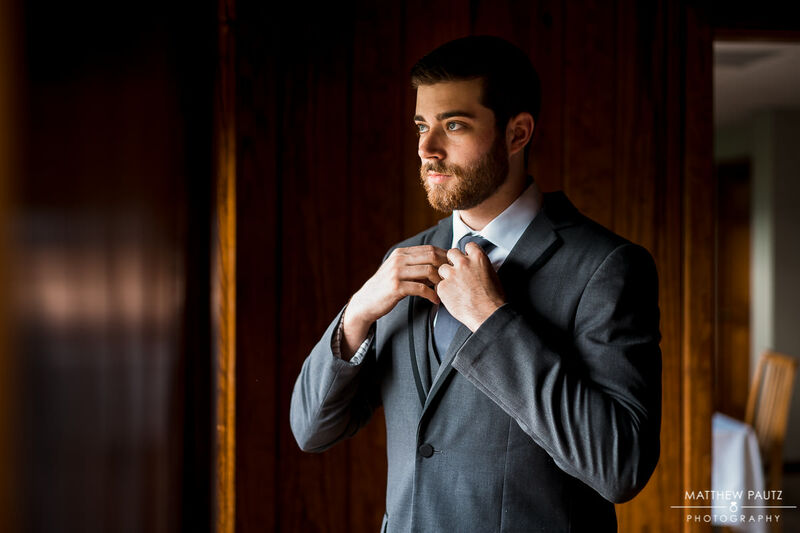 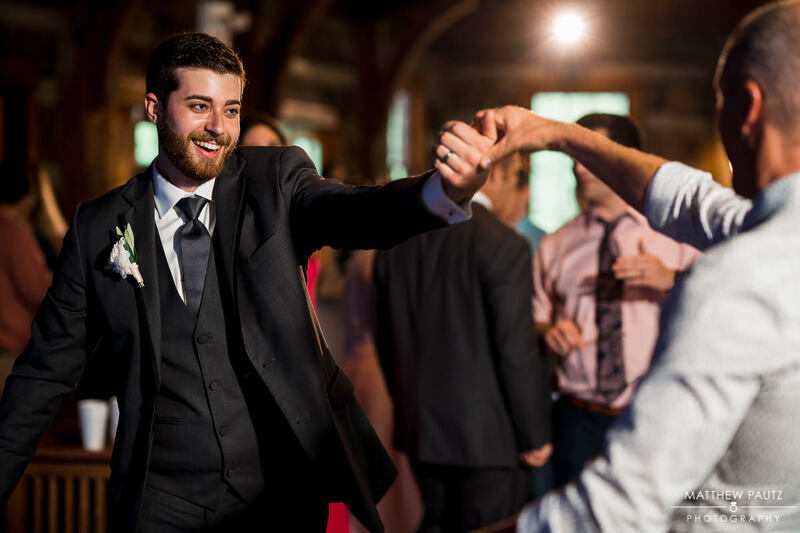 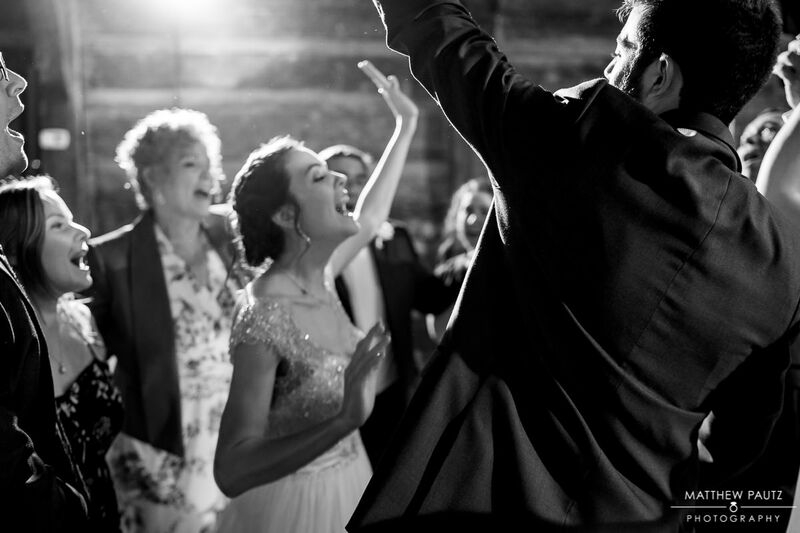 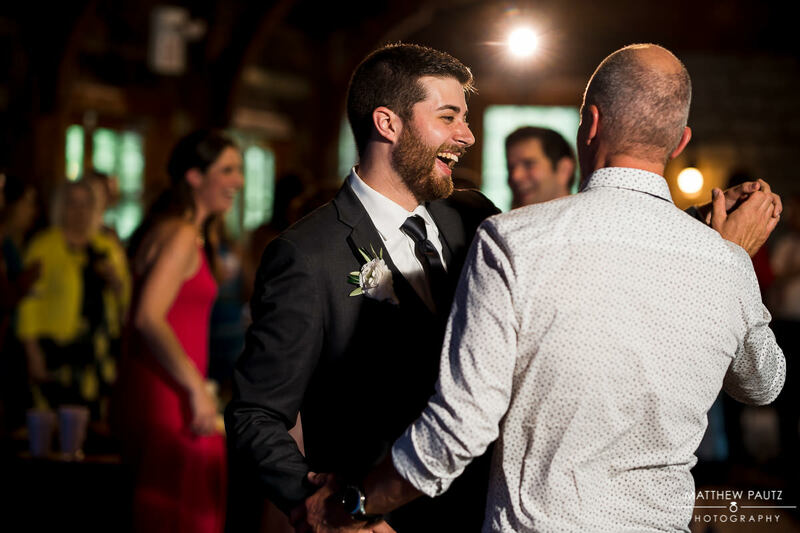 And with the right people, you don’t need a big, impersonal reception venue – Their friends and family really know how to throw a celebration. 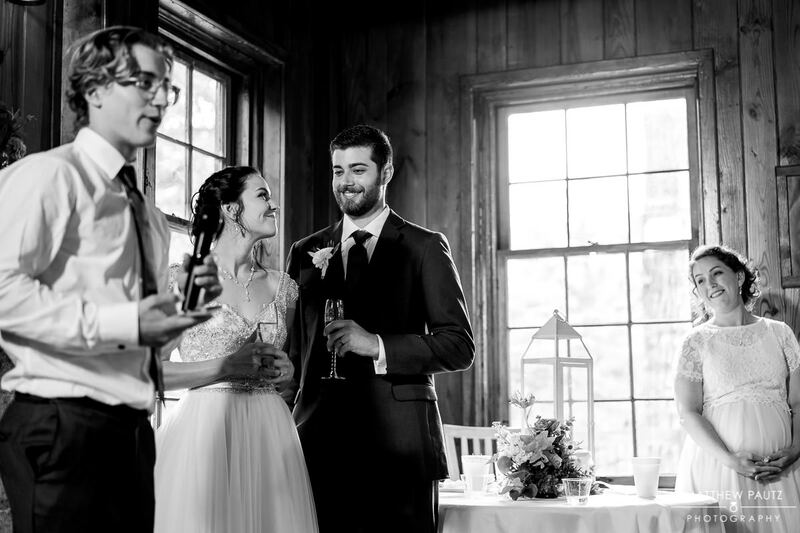 I was very happy to be a part of it. 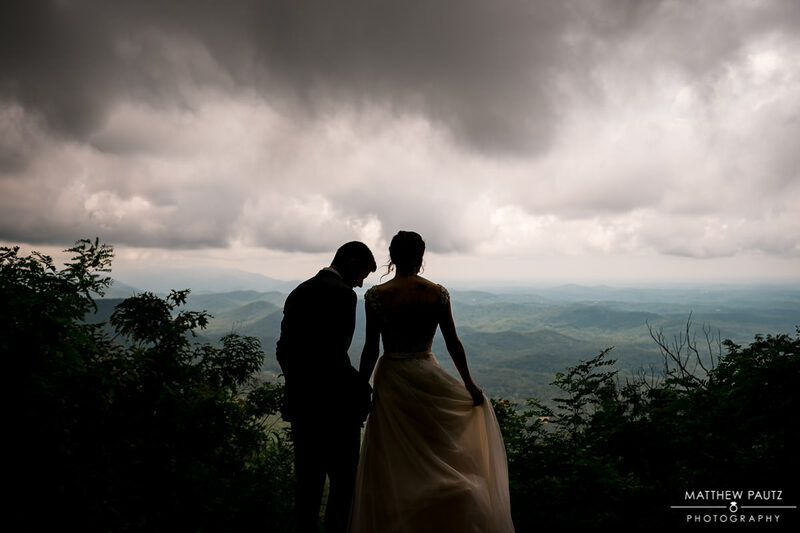 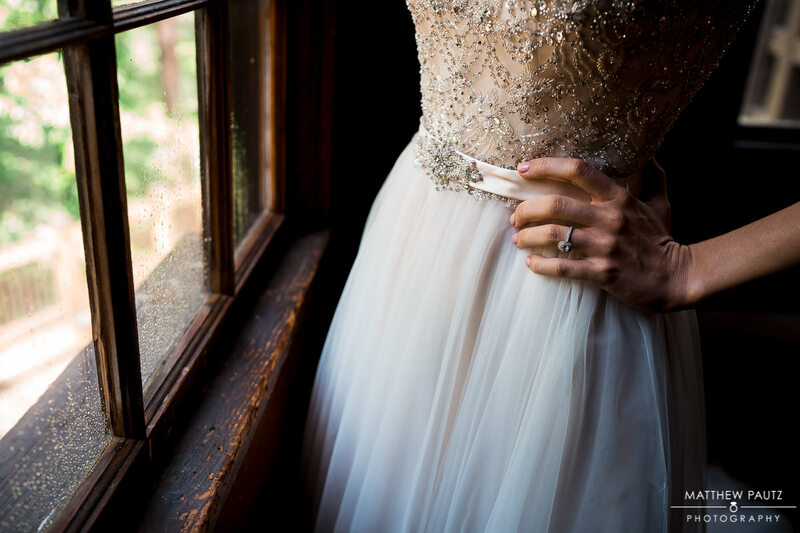 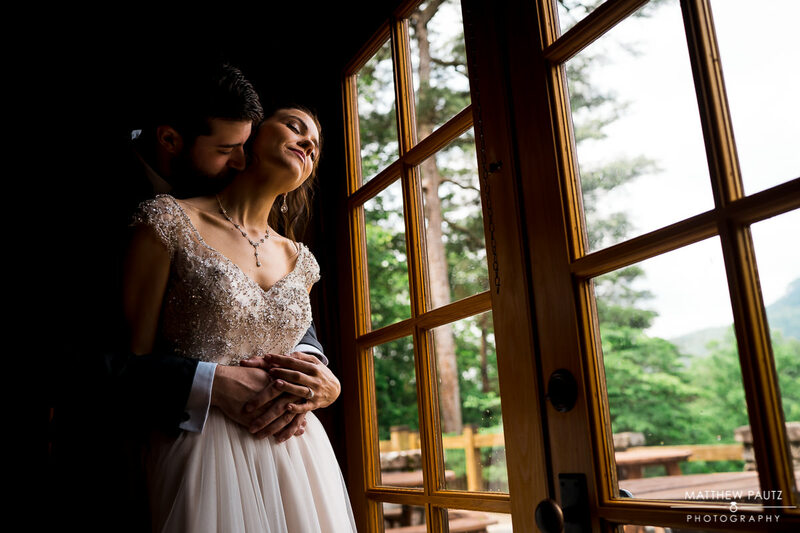 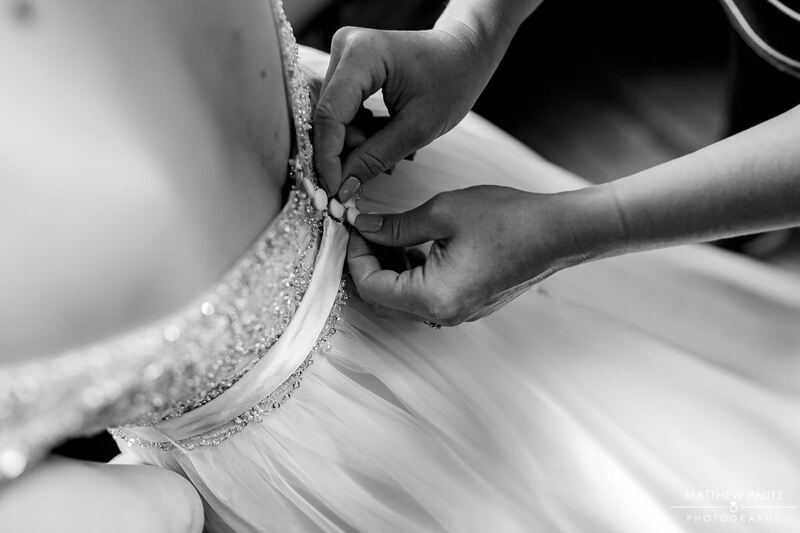 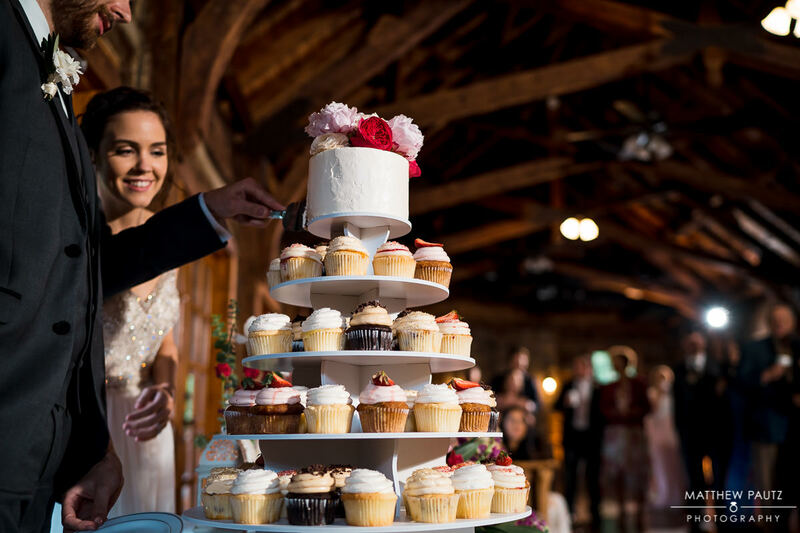 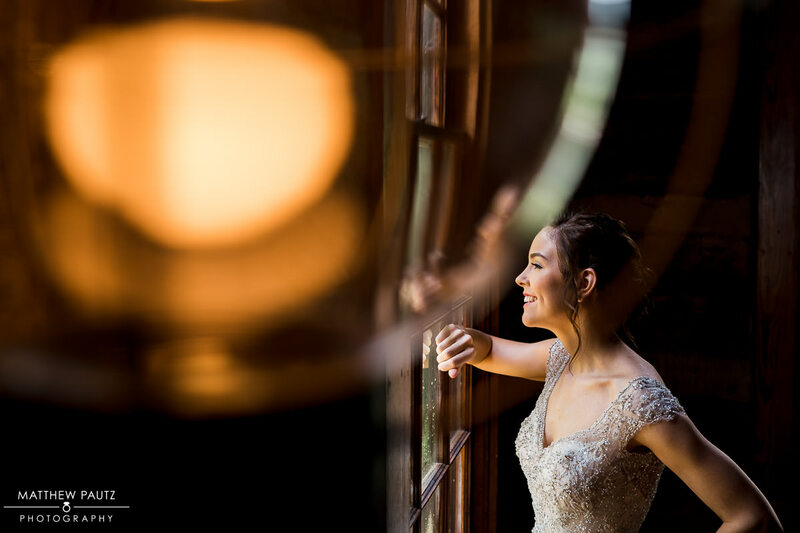 I hope you enjoyed this look into Lily and Evan’s gorgeous destination wedding at Table Rock Lodge and Fred Symmes Chapel! 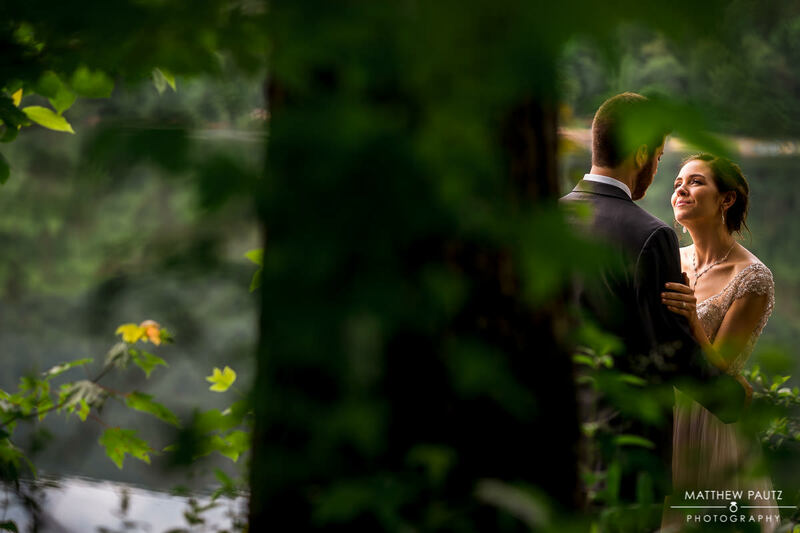 I wish the happy couple a lifetime of happiness together…Thank you for letting me be a part of your celebration.